Are those programs avaliable on internet? specifically fraxpro or moldiv? If not, where I can find their official pages although there is no download? 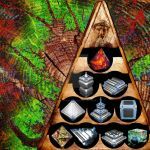 I am interested also in the icons of all of them, for adding to my project of icons of fractal programs. Yes, but Moldiv is much better on iPhone... Thanks for the icon! Great work in your gallery. Dominic! I'd like to invite some to and need to know which software you are using so they can go in the appropriate folder. Could you let me know please? Thank you very much for this nice invitation! I am using mostly FraxPro, Flamelet and the MetatronBrot Explorer. The last one is an experimental version in Java still in devellopment by myself and other programmers. As you already know by my favorites, I am a fan of your artwork.